When Google executives take the stage Wednesday at the company’s conference for customers of its cloud platform, they’re going to have quite a task in front of them. While the company’s cloud is the choice for some household names like Best Buy and Spotify, it hasn’t seen the same adoption as competing offerings from providers like Microsoft and Amazon Web Services. These vendors are currently the market leaders in the public cloud race, with Amazon holding a dominant share of the overall market. That comes at the same time many developers are enamored with Google’s technical chops, along with some of the technical capabilities of its platform. Gartner Vice President Lydia Leong said that Google is a company that has always had a lot of promise as a public cloud provider, but just hasn’t lived up to it. The company typically positions itself as an innovator, but it’s hard to do that when Amazon is already innovating quickly, and the company’s product catalog isn’t as large as that of its competitors. "I’ve never felt that Google has put the level of effort necessary into this market to be a winner,” she said in an interview. What’s more, Google hasn’t put as much effort as its competitors into building out an enterprise sales and support force, which is compounded by the fact that the ecosystem of partners built up around Google Cloud Platform isn’t as robust as AWS’s or Microsoft Azure’s. Dave Bartoletti, a principal analyst at Forrester, said in an email that the biggest challenge facing Google in the cloud wars is proving itself to enterprises. "Cloud is already proven as the best place to quickly build exciting new web and mobile applications, but the next wave of cloud spending will be driven by large enterprises moving significant portions of their applications to the cloud," he said in an email. "To reach these enterprise customers, Google needs marketing, sales, and channels designed to reach big companies, not consumers." That change is already in progress. Google hired Diane Greene, the co-founder and ex-CEO of VMware, to take over its business-focused products, including the cloud platform, and she has been pushing to improve the company’s standing with enterprises. Jack Clark at Bloomberg reported Tuesday that the company is working on growing its enterprise sales channels, and that cloud chief Diane Greene took part in a recent customer meeting with partner SADA Systems. SADA’s CEO reportedly said that was the first time a Google executive of her stature has done so in nine years. If Google can better pitch its services to enterprises and build out additional products, it has tremendous potential behind it. Quizlet, a San Francisco-based education startup, moved all of its infrastructure over to GCP. The company’s pricing schemes (which avoid long-term contracts in favor of discounts for continued use) played a role in Quizlet's decision to move from Joyent, but Quizlet Platform Lead Peter Bakkum said that the ultimate decision came down to a belief that Google’s core technology is better than that of the competition. Bakkum’s confidence is a key sign of what could be in Google’s future. 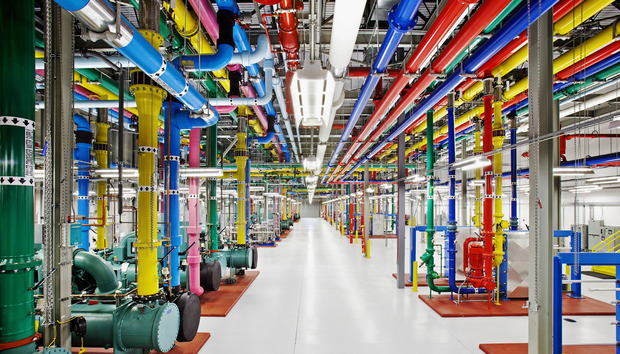 Urs Hölzle, its senior vice president for technical infrastructure, expects the company’s public cloud business to overtake the advertising revenue that makes up the overwhelming majority of the money Google makes. What remains to be seen is if the company can live up to that prediction.